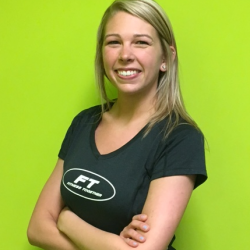 Get to know our friendly Fitness Together® Personal Training Staff at Medina. From Seville, Ohio, Cailin is studying Exercise Science at The University of Akron. She is an ISSA certified Personal Trainer and an ISSA Group Fitness Specialist. Cailin loves pushing her clients to their limits and helping them accomplish things they never knew they were capable of doing. You may never guess by her sweet demeanor, but Cailin loves going to rock concerts! Kalie is from Strongsville and she has an associate degree in Sport and Exercise Science. 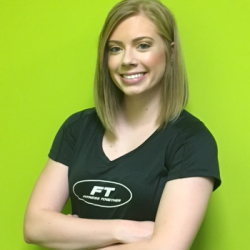 She is an NCSF Certified Personal Trainer and certified in General Nutrition. Kalie originally studied nursing but realized she would rather help others prevent and reverse chronic diseases through diet and exercise. Kalie hopes to some day rescue and adopt animals! Sara has always lived in Medina. She has a Bachelor’s Degree from The University of Akron in Exercise Science – Strength and Conditioning. 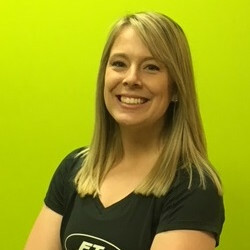 Sara loves personal training because she enjoys helping other’s reach their fitness goals while having fun in the process. She believes working out should be fun and something everyone looks forward to. Sara enjoys traveling with friends and family to places all over the U.S. and all over the world. She hopes to someday visit Greece, Bali, and Australia! 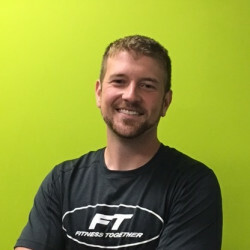 Michael is from Cuyahoga Falls and he’s an ISSA certified personal trainer. He has an associate degree in Applied Science and a bachelor’s degree in Business Marketing. Michael has a true passion for motivating others and helping them reach their goals to be the best version of themselves. He enjoys golfing, traveling, and being an uncle to his 5 nieces and nephews. One thing Michael would love to do is travel to his father’s home country of Lebanon! Jeremy is from New Middletown, Ohio. He has a bachelor’s degree in Food and Nutrition and a master’s degree in Exercise Physiology. 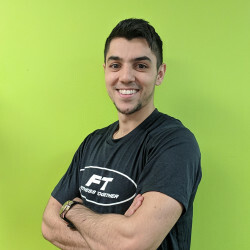 Jeremy loves personal training because he not only gets to help others live healthier lives, but he can witness them become happier and more confident in themselves. Jeremy loves biking, kayaking, skiing, and any other outdoor sport.